CSIC is the largest public multidisciplinary research organisation in Spain. The Neural Rehabilitation Group has long term expertise in managing human-machine interaction, HMI (a basic element in MNP and NR devices for restoring physical impairment). In cognitive HMI, CSIC has particular expertise in algorithms for processing bioelectrical activity (EEG, EMG) and biomechanical information (IMUs). In the area of physical HMI, CSIC has developed several functional compensation systems (tremor, gait support, assistance to CP kids) based on robot-human interaction. Miguel Hernandez University of Elche (UMH) is a public young dynamic university, placed in the Southeast of Spain. 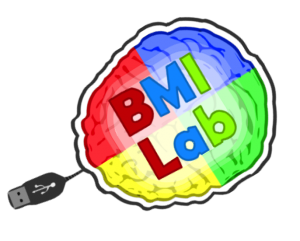 Brain-Machine Interface Systems Lab has a prominent experience developing Brain-Machine Interfaces based on EEG signals to support assistive and rehabilitation technologies and to improve the quality of life of people with motor limitations. Particularly, in the last years, UMH has applied this knowledge to the development of BMIs for upper and lower limb wearable robots applied during rehabilitation therapies. Research Network on Neurotechnologies for Assistance and Rehabilitation (Spanish Ministry of Economy and Competitiveness, DPI2015-69098-REDT). Iberoamerican Research Network on Rehabilitation and Assistance of Patients with Neurological Damage using Low-Cost Robotic Exoskeletons (CYTED).